Access service specials in Port Arthur, TX today. We have plenty of brakes, battery, tire, and part services available for drivers near Beaumont and Nederland, TX. You can count on the experts at Twin City Nissan to keep your model in pristine condition. 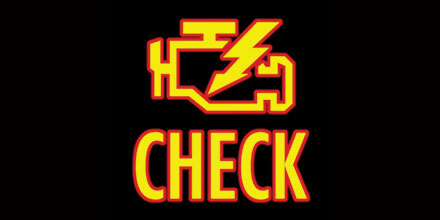 It is always worth checking in to see if we have service and part specials in Port Arthur, TX because they change. Contact us to learn more! Contact our service department near Beaumont, TX and learn more about our services. Get behind the wheel of a vehicle that you can trust, knowing that our professionals serviced it at Twin City Nissan. We make it easy to get the service that you might otherwise avoid. You don't have to worry about expensive services. Our team of experts makes it easy to get the services you desire. Check out our website and get the brake service or oil change you've been looking for in Port Arthur, TX. Includes complete inspection of steering and suspension system. Please present coupon at time of write-up. Valid only at Twin City Nissan. Not valid with any other offer or discount. May not be applied to previous purchases. See Twin City Nissan for more details. Print this coupon and bring it in on your next visit. Offer Expires 06-19-2019. *PRICES MAY VARY BY MODEL. PLEASE PRESENT COUPON DURING WRITE-UP. NOT TO BE COMBINE WITH ANY OTHER DISCOUNTS. Offer Expires 06-19-2019. Complimentary drive-thru cloth car wash with reverse-osmosis rinse. *PRICES MAY VARY BY MODEL. PLEASE PRESENT COUPON DURING WRITE-UP. NOT TO BE COMBINED WITH ANY OTHER DISCOUNTS. LIMIT ONE COUPON PER PERSON. NOT COMPATIBLE WITH OTHER OFFERS. Offer Expires 06-19-2019. PRICES MAY VARY BY MODEL. PLUS TAXES AND FEES WHERE APPLICABLE. PLEASE PRESENT COUPON DURING WRITE-UP. LIMIT ONE COUPON PER PERSON. NOT COMPATIBLE WITH OTHER OFFERS. NOT TO BE COMBINED WITH ANY OTHER DISCOUNTS. Offer Expires 06-19-2019. UP TO 5 QUARTS STANDARD OIL CHANGE DIESEL AND SYNTHETIC EXTRA NO VALID ON PRIOR SERVICE ADVISOR FOR DETAILS. Offer Expires 06-19-2019.